Chuck Booth (Lead Baseball Writer and @chuckbooth3024)- Well, I finally get a chance to breathe for one second. Too bad it was at the expense of the events that transpired yesterday. Contrary to popular belief, this world record streak is not a walk in the park. Traveling is a hard thing to do at the best of times. I will break down the trip synopsis game by game. I am breaking down the travel games at Parks day by day. I started off the day by eating at Wendy’s restaurant and then heading to the BIG A. I parked at a place I know for zero money across from Orangewood Ave. I had an awesome Dodge Charger for a car rental this day. I was poised for a quick exit. When I entered the facility there were religious people preaching about Easter and so forth. They were really upsetting the vibe of the fans. I actually yelled at the guy because he was giving me a headache. I had traveled from New York to Boston by Greyhound and then flew to Phoenix the day before. 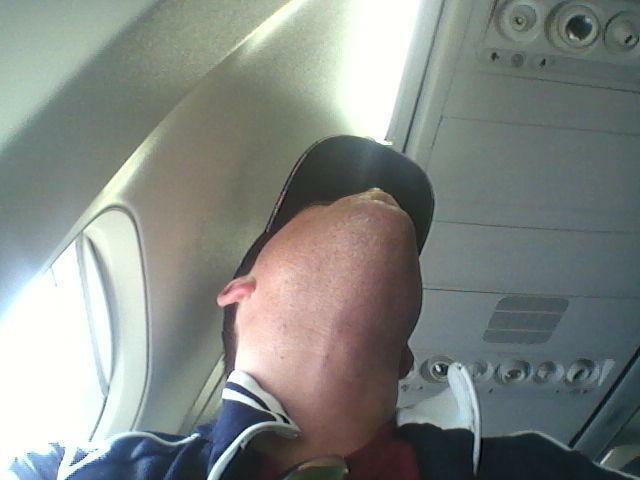 After a nice rest in Phoenix following their home opener, I made the hour flight to LAX. Life is sailing along pretty good and then the 1st pitch is thrown. 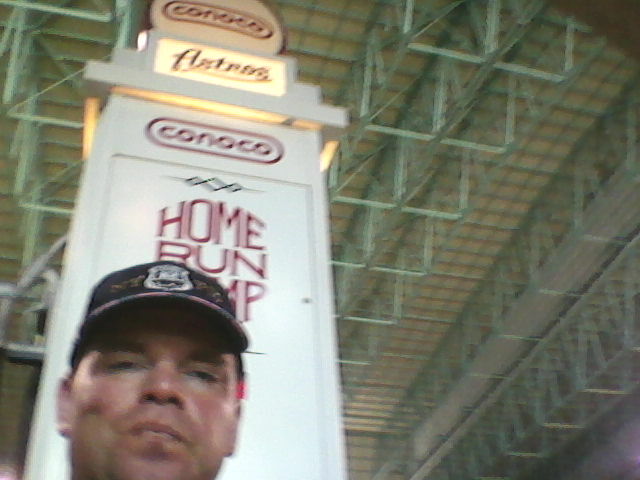 20 minutes into the 1st inning I am contemplating why I have set out in the World Record Mission in the first place. My nerves are running wild. Albert Pujols then grounded into a double play. I screamed ‘yes’ as Angel Fans give me a dirty glance. I am cheering for nothing but outs baby. 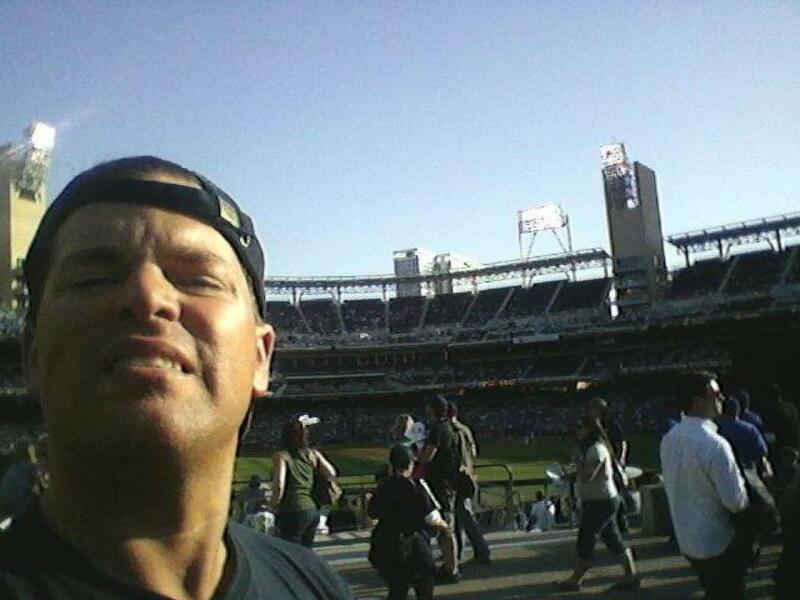 I have a 90 mile ride to Petco Park hanging in the balance. The Royals looked like a team ready to make the next step. Gordon, Moustakas and Hosmer can really rake. If they can ever get a couple of pitchers in the rotation look out for these guys. Pujols had a horrific day. Good for me because he hit into a double play and was gunned out at home plate. Yes, the replays say he might have been safe. I think it will take the Angels a while to click as a team with all the new faces. Bobby Abreu really looks old out in the field and at the plate. Vernon Wells is a wild card and Torii Hunter is racing versus father time. The staff will carry the Angels until they can piece together a good line. Luke Hochevar was pretty solid for the Royals. Like I said in my previous article, I think the Royals will have a good season and finish over .500. 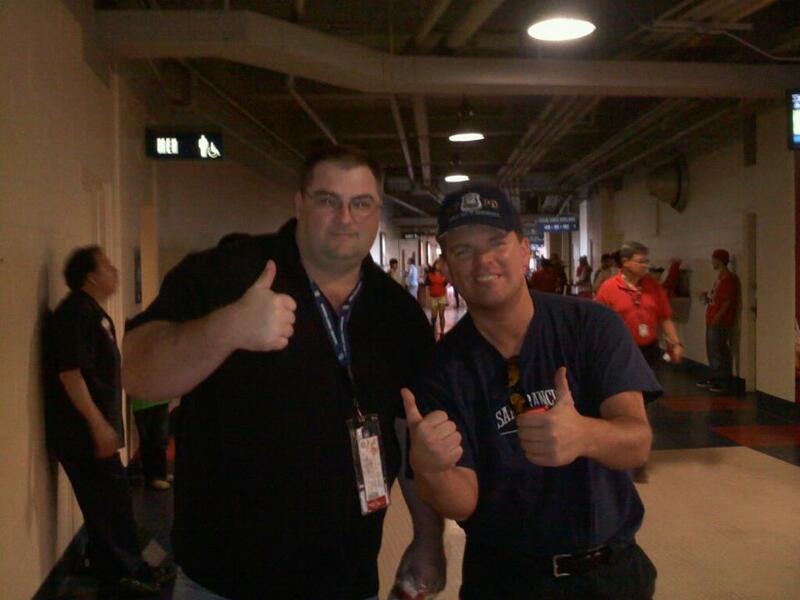 As for the game, I met up with Steve Fekete in Angel Stadium. 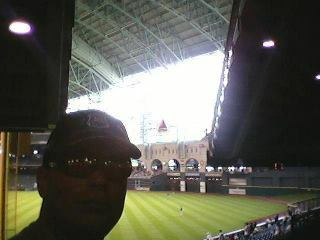 Like me, Steve is a member of ballpark chasers.com and their Facebook Page. We talked about a good game plan for my impending drive to Petco. The game was abruptly ended when the Angels grounded into yet another double play. A foiled comeback was reason for me to get excited. I ran for a mile to parking spot and high tailed it out to the 5 Highway South. As I started out driving down I-5 highway South, I noticed that I was making great time. At about half way through, to the tail end of the trip I was weaving as much as I could in congested but moving traffic. 5:35 PM was looming large. Boy I am I glad that I started the day by renting a brand new Dodge Charger at National Car Rental. I need the extra get up and go. At 5:10 I was still a little ways out and started to panic. 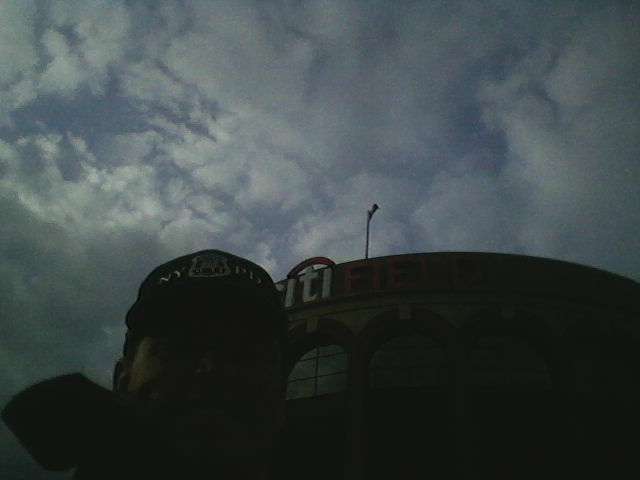 I still needed to arrive at the Park for 1st pitch otherwise I could not go in the building. You must be present for every single pitch in order to qualify for Guinness Book of World Records strict events rules policy. At 5:24 I had one more turn to make. I actually had shot by my exit. I did recognize Market Street from past trips to San Diego. This is one clear-cut advantage I have in traveling. I have driven in the cities several times and remember how directionally positioned they are. There is no doubt that had I not has this experience, I would not have had a chance on this day. This picture was taken as i was clearly out of breath and in pain. Hard to tell from this picture, but I was ecstatic about following through on this bid. The merge lane provided a hostile 5 minutes. To complicate matters more, people were slow at their left hand turn. 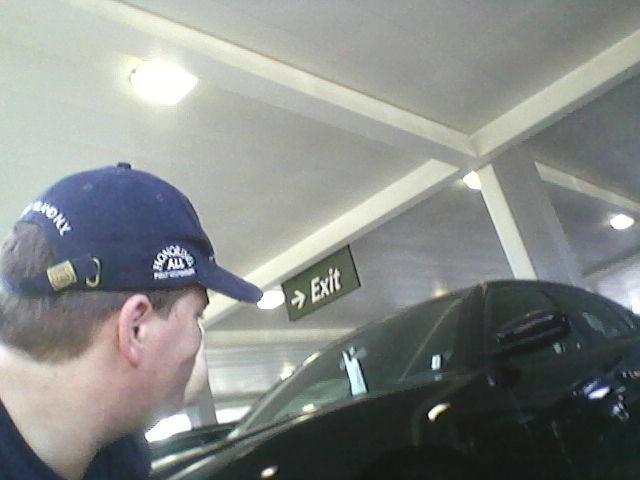 I entered the Padres Parkade. It is located on 440 11 AVE. I then had to drive up 9 levels to find the last spot. It is now 5:30 PM. I race to the elevator and it gets me down at 5:32 PM. I sprint to the right field access gate. The time is 5:33 PM. I was ticket cleared at 5:34 PM. I actually had the ticket sweeper sign my travel log. As I do this, Ken Lee is texting me. I took a picture of the scoreboard and it only had one pitch by the time I snapped the shot. Now, it is impossible to not be in the park with only pitch thrown so I should be okay. I wrote down the name of the employee and his email address in case there needs to be more information submitted to the fine people of Guinness. I made the doubleheader in which I said I had about a 30% chance to capitalize on. I sent Ken Lee the photo I took at myself just a few minutes after, plus before I sent the picture to Ken, I texted him that I was in the park on time. Ken Lee will verify that I sent him the text at 5:34 PM. After accomplishing this feat I was physically and mentally spent and took refuge on the grass for a few minutes. 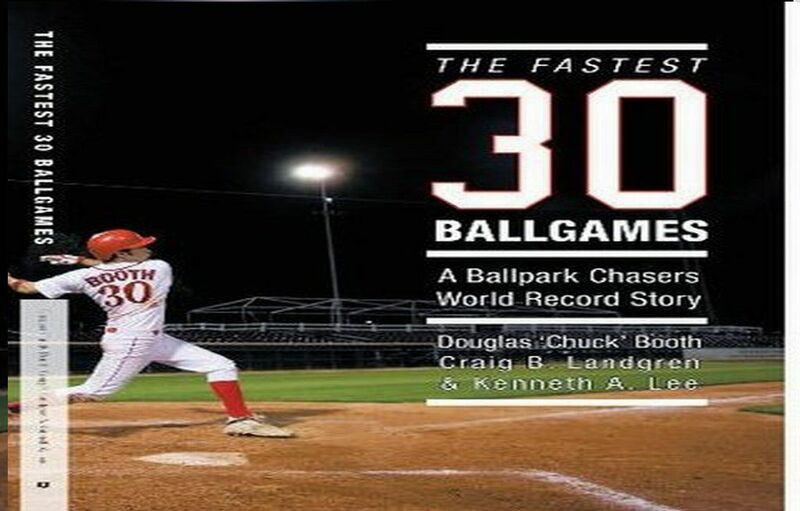 The game itself started out with the LA Dodgers taking a 5-0 lead. The Padres and Dodgers lineups are futile. With the exception of Matt Kemp and Andre Ethier, the Dodgers have no one else who can hit homeruns. The Padres are not much better. Both teams are filled out players that would hit 6th-8th on other baseball clubs. The Padres responded with a 5 run inning. By the time the 8th rolled around, I knew the game was headed for extra innings. Amongst 20,000 fans (with half of them rooting for LA) I witnessed a 4 hour game that ended at 9:40 PM. I ran back to my rental car and began driving to Los Angeles. The traffic heading in to the city was proving troublesome. I only made it to Santa Ana by 12 PM. I was sweating. I filled the car up with gas and continued. Steve Fekete texted me that there was a big delay on the 405 highway headed towards the airport and I should drive another way. 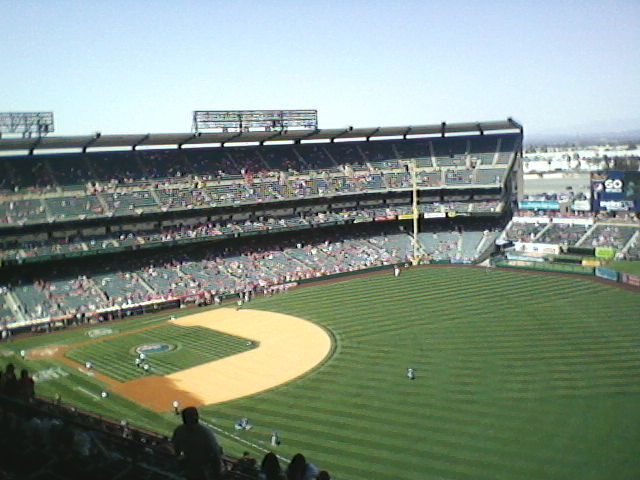 I had my directions for how I arrived at Angel Stadium in the car and I had to follow the exact opposite in reverse. I have spent about 25 days in Los Angeles driving before so I nailed the drive in order to arrive at National Car Rental at 12:30 AM. I was waiting in the shuttle bus area for 5 minutes until a lady came to pick people up. I struck up a little side deal in order for her to leave early without any other passengers. I couldn`t wait any longer for my 1:20 AM flight. I made it to the airport by 12:45 AM and was happy to see the gates were still open at 1:05 AM for my impending flight. It was a day of near misses and a frenetic pace. It was just starting. I was already feeling bag tired when I arrived at DFW for 6:00 AM. I had to buy a plane ticket that read traveling to Boston from Los Angeles via a layover with Dallas. Let’s just say I never walked on to the second phase of that trip. The price differential was $450. I was going to have to rent a car in Houston anyway, so this was the best option. I pre-purchased a half tank of gas and was on my way. Fueled by a 5 hour energy drink and a gallon of water, I drove to Houston. I made the 270 miles in 3 hours and 45 minutes. This left me enough time to practice a trial run to the airport with the rental car. After my confidence level was at an all-time high, I parked in a location aimed for a quick getaway for $10. I still had to buy a game ticket for $5. 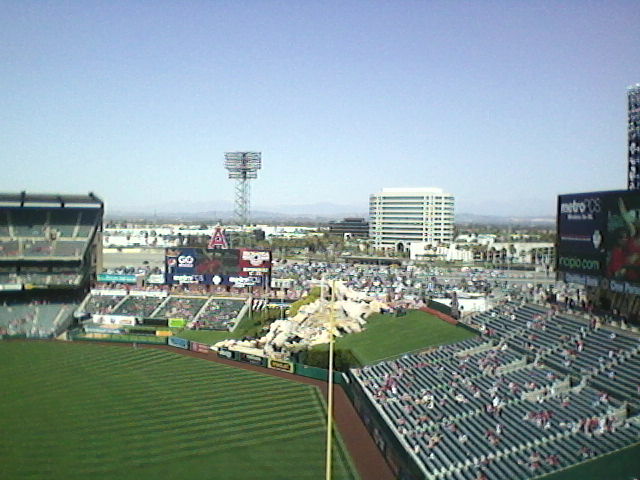 Once inside the yard, I went for a long walk around the concourse that lasted until game time. I have not bought any concession food for the last 4 games. By doing this, I hope to avoid gaining a pound a day like in 2008 and 2009. The game saw a nice pitcher’s duel for the most part. This Nicasio starting pitcher for the Rockies can throw! I also saw one of the XM Home Plate Radio heroes play in Jose Altuve. The guy is about 5 foot 6 and swings harder than anyone in the Majors. Mike Ferrin and Morgan Ensberg actually came up with a new homerun measurement record. The homers being hit are measured in feet first, then divided by 5.6 feet at a time-hence “Altuve.” If a ball gets hit 400 FT, this registers about 75 Altuve’s on the chart. I think this is the best way to determine a homerun. The Rockies did not have Todd Helton starting in this matinée. I take that this might be the case all year with him sitting out one game a week. Jason Giambi took his place. I watched the entire game from the concourse. The NL games are so much easier to end early with the pitchers having to hit. The only time the game looked like it was hit the 3 hour mark was when the Astros came back from a 2-0 deficit to tie it at 2 momentarily in the bottom of 8th. I was pacing all around. The Rockies had given up the lead and I was staring down extra innings yet again. To my delight, the next batter laced a single to the outfield scoring another run. I went from tied to the home team taking the lead into the 9th. I always cheer for the home teams in 1st games of double-headers because this can shave off 10-14 minutes from the home team batting in the bottom of the 9th. 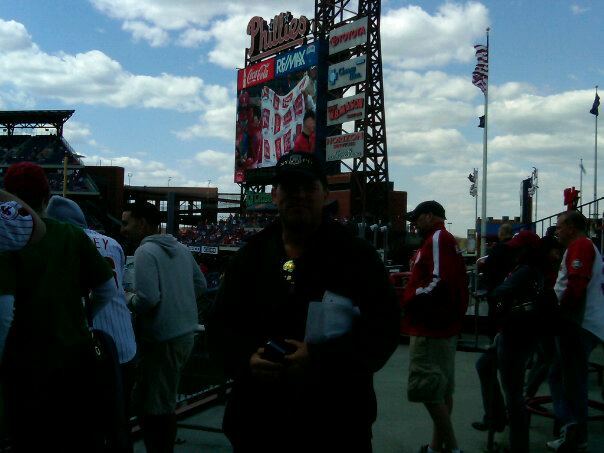 Lori and I headed up to our seats in the 306 section and viewed the season opener for the Phillies. What we needed was a fast game. The idea was that if the game went past 4 pm, then I would take a cab to the Philly-30th Amtrak Station and take an express train into New York, before taking the 7 train all the way in to Citi. Lori would drive herself to the game and hope to make first pitch just like me. What we ended up seeing is a young Marlin club start to strut offensively. Seldom that there is a 2 homerun day for Omar Infante, but he connected on two shots this day, plus the Marlins pounded on Cole Hamels and the rest of the staff to the tune of a 6-2 final score. The Phillies offense looks really anemic right now with Howard and Utley. If you throw in Raul Ibanez and the departed Werth from 2 years ago. then you are talking about your 3,4 ,5, 6 hitters all out of this year’s lineup. I think it will be tough for the Phillies to start the year. They just better hope the pitching saves the day. It was 3:50 PM when the game ended. I received my proper documentation when the game was finished. Lori used the Tony Luke lineup barricades to do the limbo with and I followed. That little maneuver shaved off a few precious seconds. As we raced to the car, we knew that the fun with traffic had just begun. Nothing is more rewarding in these record streaks then nailing a double-header. 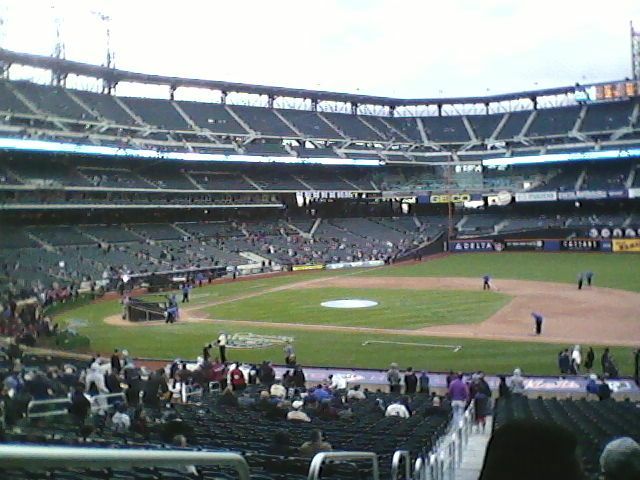 Thanks to Lori (Andretti) Martini, driving and weaving along the NJ Turnpike, before entering the hostile New York traffic, we made it to Citi Field in just over 2 hours. This was a work of mastery on the road. I seriously hope that Danica Patrick is ready if Lori decides to join NASCAR, because she can drive and actually act too. I posed for some pictures in the front before entering the building. Citi Field has been a lucky place for me completing back to back Doubleheader attempts with Philadelphia in 2009 and today. I truly have to thank Lori for taking care of all my New York needs. It has truly taken the pressure off of me to navigate one of the hardest cities. 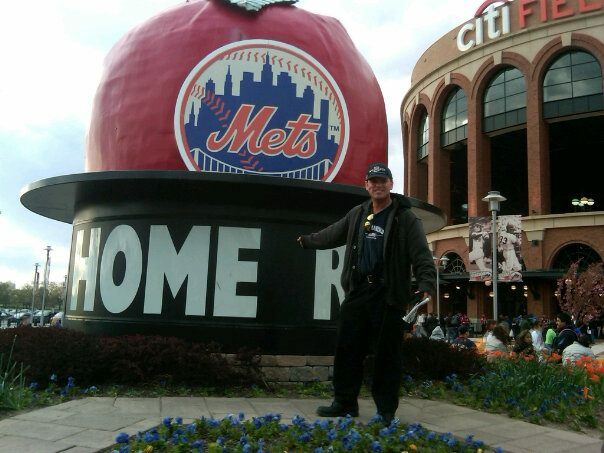 After knocking back a couple of Nathan hotdogs, I was ready to watch some more baseball at Citi Field. We had a great view from our 100 level section. We saw Mike Pelfrey struggle to a 3-0 deficit, before starting the comeback when he laced a double to the outfield and scored in the inning. ‘Citi Captain’ Kirk Nieuwenhuis drilled a 2 run homer in the bottom of the fourth. All of a sudden neither team could score, so even though I didn’t have another flight for hours, I was starting to see sleep and down time head out the window. Cue Daniel Murphy and his big 9th inning. First he made a sensational defensive stop to end a Nationals rally in the top of the 9th. Lori Martini, the ‘Prognostic Kresken,’ stated that a great defensive play usually rewards a player when he goes to hit. Wouldn’t you know that Dan Murphy did just that, in hitting the game winning run in. It sent the fans home happy and I am now officially at 5 games in 3 days. My thoughts on the Nationals is that they are a young club just trying to find their way and keep improving. Once they see Bryce Harper, plus several other top prospect enter the fold, this team is going to be one to reckon with. As is stands now, as long as Stephen Strasburg stays healthy all year, I believe this team has a chance to be competitive. The offense should be there all year too. As for the Mets. The start of 4-0 is not enough sample size of a season, but they might just fare better than anyone predicted. David Wright looks as locked in as he has in years, added to that mix is a solid bullpen and the starting pitching has been buoyed by the return of Johan Santana. I am carrying a 5 games in 3 days streak so far which is outstanding. I will say goodnight and catch a few hours of sleep before I hit Dodger Stadium tomorrow. The streak of 30-20 is now 30-21. I can live with the result. I must remain focused at the task at hand while keeping the mind fresh. I still have 19 days to go at least. So I am moving the Rangers game to the 27th of April to add to the streak’s end. It is a 17 hour drive from Chicago should I choose to drive. I am not buying a flight in advance because I may need to add another game to the list. I look like this after several hours of transit! 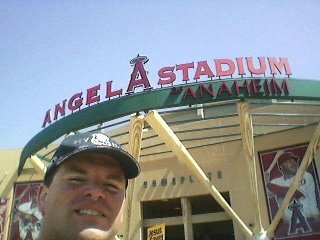 Posted on April 10, 2012, in The Rest: Everything Baseball and tagged albert pujols, alex gordon, Amtrak, andre ethier, Angel Stadium, bobby abreu. vernon wells, brett myers, bryce harper, chase field, Chuck Booth, citi field, cole hamels, colorado rockies, daniel murphy, david wright, dfw, eric hosmer, Greyhound, Houston, iah, johan santana, jose altuve, kirk nieuwenhuis, LAX, Lori Martini, Los Angeles, luke hochevar, marlins, matt kemp, mets, mike moustakas, mike pelfrey, minute maid park, morgan ensberg, National Car Rental, nationals, new York, omar infante, petco park, philadelphia, phillies, Phoenix, phx, rangers, raul ibanez, stephen strasburg, Steve Fekete, texas, The Ball park in Arlingotn, the fastest 30 ballgames, todd helton, Torii Hunter, united airlines. Bookmark the permalink. 3 Comments. I am meeting Chuck in Denver on Thursday and am very much looking forward to hearing of his trips/events.